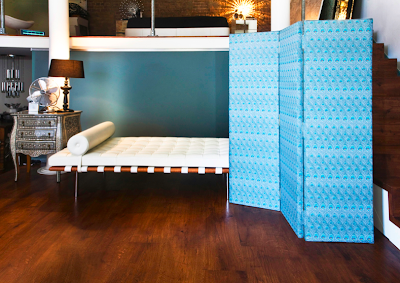 I received an email this morning from luxury screen designer, Shelly McDonald, with her gorgeous custom upholstered folding screens. 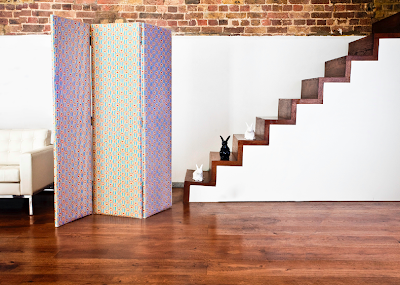 Plus you can provide your own fabric for a well designed vibe in your home. This accent is a great way to create zones within a small space with out it feeling bulky and heavy. Love this idea in a studio. LOVE folding screens. I have stashed so much ugly junk behind ours. I've also folded it up and used it horizontally as a top for a console table. Currently it's functioning as a headboard.